You want a great shave (or you want your man to have one), but you don’t want to break the bank. That’s where the Dollar Shave Club comes in. 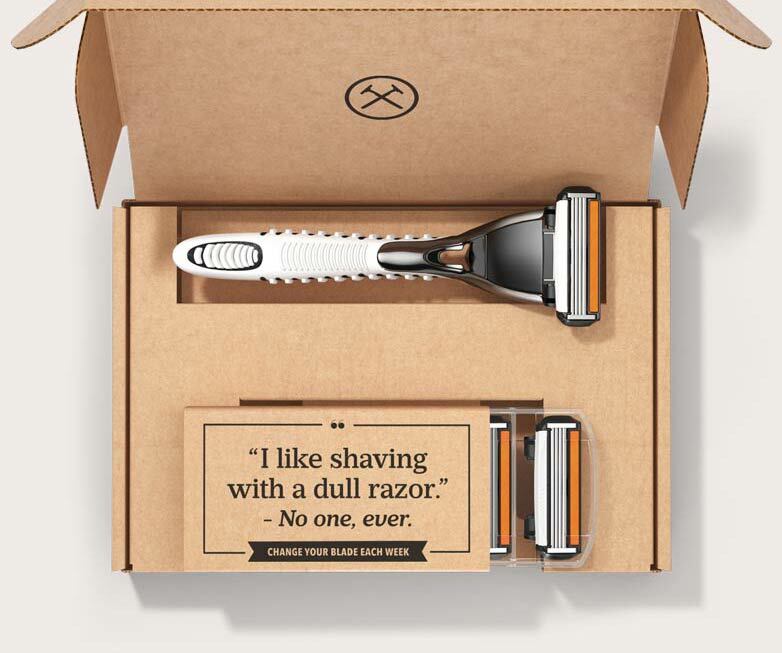 The Dollar Shave Club gets you a great shave for only a few bucks a month. There is no commitment, no fees, and no BS. It’s unbelievably simple to join, just select your blades, pay the cost and get them shipped directly to your door every month. You can easily change your razor plan at anytime without hassle, and when you do, the new handle is free. Adjusting your frequency isn’t a problem, either. Don’t need new blades every single month? Get them every other month, as often as you want them. Shave Products by Dr Carver– Easy Shave Butter, Pillowy Shave Leather, Magnanimous Post Shave Cream, and Miracle Repair Serum. Protect Products by Big Cloud– Daily Face Moisturizer, Good Shake Hand Cream, and Wind Master Mint Leaf Lip Balm. Style Products by Boogie’s- Bold Hair Gel, Casual Hair Clay, Smart Hair Paste, True Hair Fiber, and Dream Hair Cream. Fresh Products by Charlie- One Wipe Charlies. To get your subscription started, just go to the Dollar Shave Club website and choose your blade. You can choose between The Humble Twin (a double blade), The 4X ( Yes, you guessed it, four blades), or The Executive (a six blade beauty), and priced at $1, $6, and $9 respectively. Then decide if you’d like any of their extra Shave, Protect, Style or Fresh products to be shipped in your first box. There’s a bundle option so you can choose their already pre-determined group of products to add, or you can simply go through and add each product you ‘d like individually. Fill out your info on the next page and Wa-La, you’re on your way to the easiest and most convenient shave of your (or your man’s) life! A subscription to the Dollar Shave Club would also make a wonderful gift for that special guy in your life. 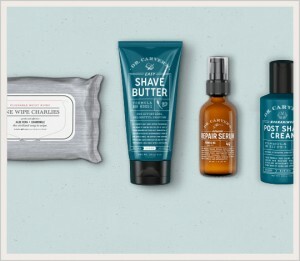 The Dollar Shave Club has graciously sponsored a giveaway! Click on the picture below to enter. Kimi Clark is a career stay at home mom turned writer/blogger (for hire) and the Owner & Founder of The Mom Shopping Network. She's also a devoted wife and mother of four who loves the beach and NEEDS her early morning coffee! This Dollar Shave Club is such a great idea! My Son actually belongs and is always telling us how much he likes it!! I’d really like to try the Dr Carver– Easy Shave Butter!! I would love to try their razors – my son uses so many and they’re expensive as all get out! I’m most excited about the shave butter! It sounds lovely, and would be great for people with dry skin like myself. I am most excited to try the exclusive razor. I’m most excited for the razor itself. It really looks great! I like my razor that I use right now, but it’s just so expensive to buy new ones or even razor blades. The shave products look nice, too. I’m always looking for different shave cream, gel, etc.